Leaving behind their cosmopolitan life, a couple and their three young children travel the ends of the earth searching for a new perspective on life. In their five-year journey across six continents, they live with some of the oldest indigenous communities on the planet. From the banks of Lake Superior in Michigan to the heart of the Amazon, from the Australian outback to the Kalahari Dessert, from the Andes to the jungles of India, they gain access to tribal sages never filmed or interviewed before. Without a crew or schedule, just one backpack and one camera each. And the curiosity to listen. 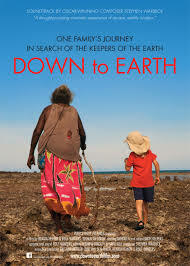 The film reveals the deep wisdom the family discover in their conversations with these 'Earth Keepers' and its power to transform lives. Having lived in hiding for centuries, the Earth Keepers see that now is the time to step forward and share their insights with those who are ready to listen. The film’s score is written by BAFTA & Oscar winning composer Stephen Warbeck.